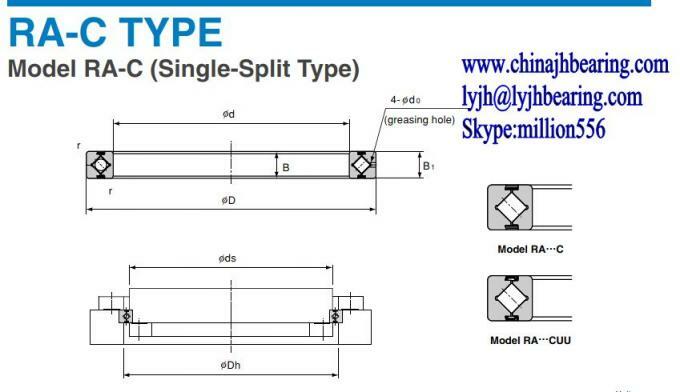 Crossed roller bearing RA6008C Belongs to Model RA-C(Single-split type).The major dimensions of this model are the same as that of model RA.Since the outer ring is split at one point to increase the rigidity of the outer ring, this model can also be used for outer ring rotation. Delivery time: in stock, after getting the order, within 2 days will send the customer,If ex-stock,it will need 30-40 days. Shipping term: By DHL or UPS or Fedex or TNT or customer required. Crossed roller bearing RA6008C application such as joints and swiveling units of industrial robots,swiveling table of machining centers,rotary units of manipulators, precison rotary table, medical equipment,meansuring instruments and IC manufacturing machines. 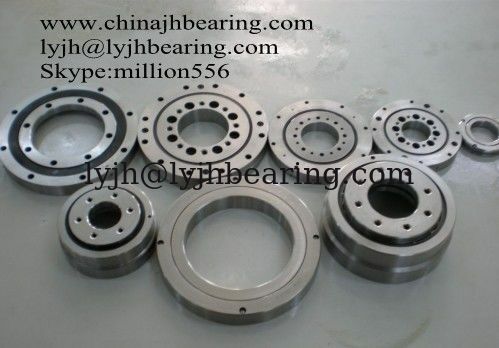 We/jinHang Precision bearing offer RA crossed roller bearing,RB ,RC series,RE series,RU Series,XSU Series,XU series,SX Series,CRB,CRBC CRBH Crossed roller bearing. The precision can reach to P4 P5 Grade.All the CNC numerical control equipment assure the crossed roller bearing quality to meet the customer required.